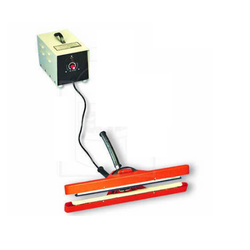 We are successfully engaged in providing a wide gamut of Bread Sealing Inno Sealer Machine. he Bag Sealer is the perfect companion to the Printer Scales. - Torque “Tighten-able as per SAE standard. - Infinite remakes possible with the same torque. - Power Supply 170-220 V / 50 Hz. 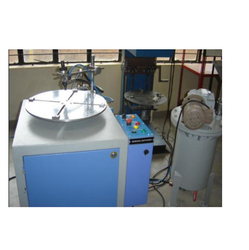 The policy made by our company makes us occupied in manufacturing a quality assured range of Common Seal. - Unique design allows easy installation where space is limited. - No axial clearance is required. - Sealing is accomplished with a captive O-ring in the body component. - Assemblies can be used from high pressure to critical vacuum, within a wide range of temperatures. - O-ring contained completely for maximum efficiency. This Machine employees FESTO® Pneumatics & various other systems. The purpose of this machine is embedding plastic cap on filters. It has a heater & the backalite plastic cap of filter passes through it & gets soften & Cylinder pushes it over a filter & cap gets embedded into filter. Address the needs of the rapid growth in cabin air filtration, a2z has introduced an automated line that is flexible, fit to purpose and cost effective for filter manufacturers. A2z cabin air filter line consisting of blade pleater, inline slitter, automatic cross cutter and side gluing system with hotmelt applicator. Automatic Pouch Sealing machine finds application in meeting the packaging needs of viscous/non viscous products. The machine come with advanced PLC control support with touch screen/HMI to offer optimum handling of the operations. The advanced servo based film feed systems also ensure maintenance of high accuracy in involved packaging procedures.